Take cross country skiing and throw in some paintball guns. It’s really that simple. For each race (Kids 1 km, 5 km, or 10 km) you ski three laps. After the first lap, you shoot 5 shots prone (lying down). After your second lap, you shoot 5 shots standing. Then you ski your third lap as hard as you can. If you make a shot, 10 (1 km), 15 (5 km), or 30 seconds (10 km) will be deducted from your overall ski time. Fastest skier at the end wins. The goal of this event is to help skiers have fun, be outside, and raise a little money. Expect more smiles than spandex and more excitement than electronic timing chips. Register from 9 to 10:30 on race morning at the Nordic Center. Paintballs and Paintball guns are provided. Prizes to the top skier in each age category. Only 11 and under allowed in kids 1 km. Age categories for 5 km and 10 km are: 10-13, 14-18, 19-29, 30-49, and 50+. Cost: $5 for kids 1 km race, $15 for 5 km or 10 km. This event is not possible without these two generous sponsors. 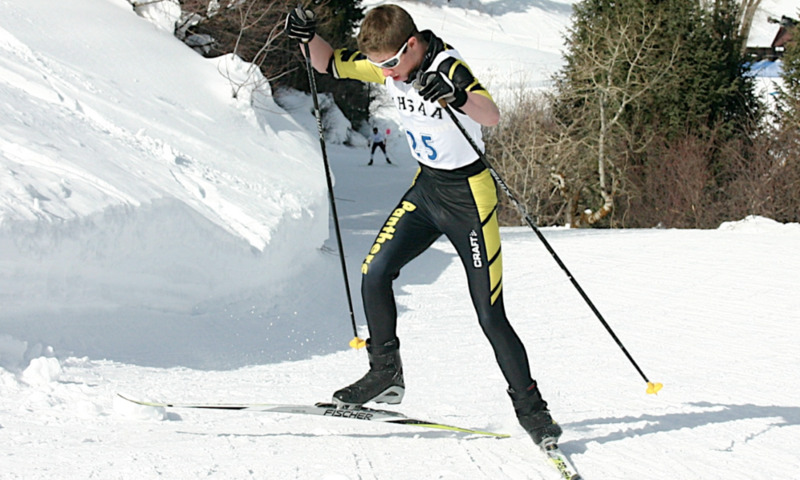 This event is a fundraiser for Leadville Nordic. Thanks for your support!